Sometimes home remedies for migraines in children are all you need to use. Here are some easy home remedies to get started. It is important for you, as a parent, to decide on treatment, how to deal with your child’s migraines, and how to help them deal with the attacks the best ways they can. 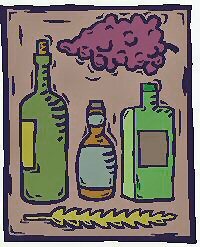 All medications differ in dosage. It is crucial that you follow the dosage recommendation on the bottle. Even better talk to the pharmacists or chemist before you purchase the product. They are a wealth of information, so use them. You can also call your doctor’s office, or surgery, to get more information and dosage instructions if your child is say under weight for his or her age or has other medical conditions. If your child is under the age of 5, they may benefit from taking an over the counter (OTC) medicine and to spend one to three hours sleeping off the pain. A child older than 5 years old may need a more “aggressive” treatment to find efficient pain relief. In Migraine for Dummies they have a warning not to give a child younger than 14 years old aspirin. They say that the serious neurological disorder called Reye’s syndrome has been linked to children using aspirin. What Are The Other Alternatives For Pain Relief In Kids? Acetaminophen and ibuprofen are often recommended by doctors and pharmacists as safe pain relief for children. Make sure you check all labels to ensure they do not also contain aspirin, or again ask the pharmacist before you buy the product for your child. Another warning – if you do give your child OTC pain relief medications and they still have a headache or other strong symptoms 24 hours later, please call your doctor – there may be another cause. You know your child’s habits and personality, so watch for any noticeable changes (please read migraine symptoms in children for more details) and let your doctor know the symptoms you suspect. You might also want to consider using a migraine diary and print off our calendar to help keep track of changes and potential triggers. If these simple steps above fail to work, then some home remedies for migraines for kids might be your next alternative. 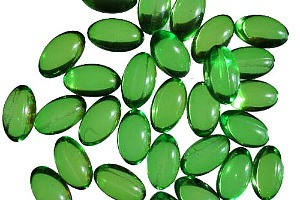 •	Avoid known migraine triggers. A food elimination diet might be useful. •	Use progressive muscle relaxation technique, biofeedback and guided imagery (see below suggestions). It might be fun to go and learn baby or infant massage. •	A few drops of peppermint and lavender essential oil mixed in water, in a bowl, is one of the more common home remedies for migraines. Place a face cloth in the bowl to soak up the oils and put on your child’s forehead. 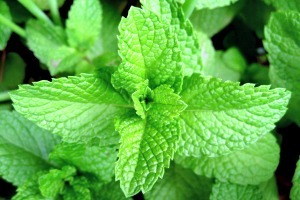 Be careful to keep away from the eyes, as peppermint can sting. Use hot or cold (put ice cubes inside) depending on which one seems to bring the greatest pain relief. This facecloth can also be put under a hot water bottle (stomach, lower back, neck) for teenage girls around their menstrual cycle migraines. Rubbing the mixture directly on the skin, even when mixed with an almond oil base, might be too strong for your child’s delicate skin. So be sparing, and spot test it first. 1. At first sign of headache, if your child is not vomiting give them either: acetaminophen, ibuprofen, or naproxen – tuck them into bed with an ice pack (wrapped in a tea towel) on their head, a wash basin beside their head in case they vomit, and a wet face cloth. A small glass of water is often nice too. If your child still feels bad (normally after 4 hours) you can repeat the dose, but again a word of warning, make sure the dose is correct for their age and you must also consider their weight. 2. If caffeine is not a migraine trigger for your child, you can give them a caffeinated drink to swallow the tablets with. I used to use a short black for aborting my migraines. As you probably cannot give your child a coffee, you could check with a local naturopath what might be a good alternative in this instance. Perhaps two or three tablespoons of coffee might be worth a try, or something like that. 3. Teach your child some relaxation techniques. Progressive muscle relaxation or guided imagery is very useful. I still use guided meditation, imagery and relaxation tapes to help calm me during an attack. I can’t recommend them enough! Click here on headache music for some CD's and MP3 meditation downloads. Check out the one by Pema Chodron. She's great. 4. Massage their feet, if it calms them down or stroke their hair gently. Sometimes touch can reduce pain, but sometimes it can induce nausea. 5. 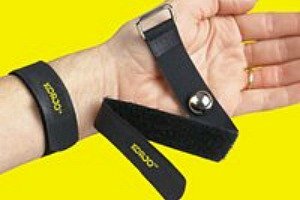 Press on their nausea points (see anti-nausea band above), if that feels comfortable for you. 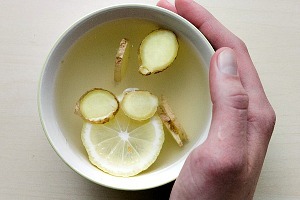 This is a well known point to reduce nausea and induce calm – perfect aid for a migraine attack. This is inspired by Migraines for Dummies, but I like to be more specific. So here is my interpretation of what they suggest telling your child. Make sure you speak softly and slowly. If you don't think they will like the word blood then just use warmth. You can also use colors, stay away from yellow and red - soft watery blue or sky blue is better for cooling the body. Soft purples, or earth tones are also good. Gold and silver are also good colors to use. •	Relaxing warmth. Flowing through your body from your head to your toes. 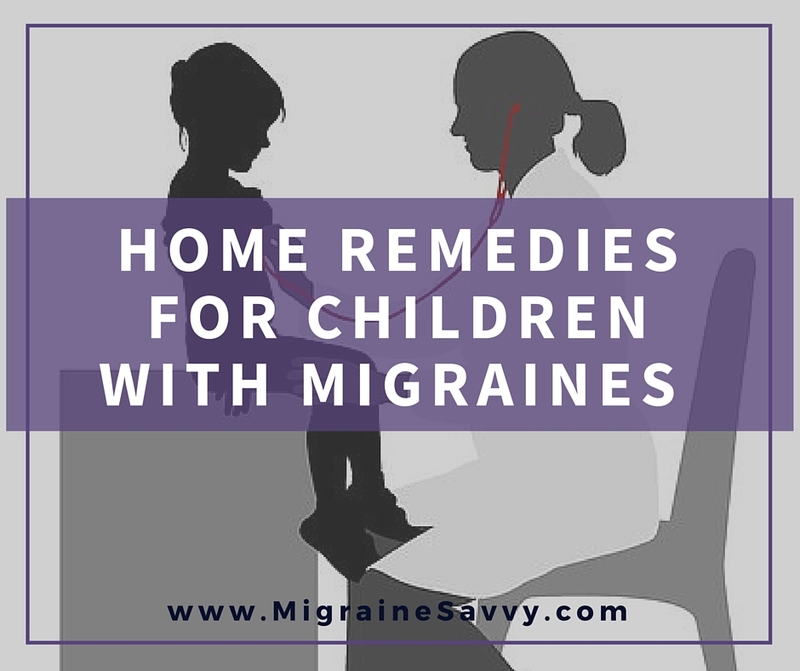 If these home remedies for migraines don’t work for your child then you may have to move onto the next level – the more aggressive – prescription medications as part of your treatment plan. Migraine prevention in children may prove to be complicated, and there may be emotional side effects from the disruptive pain episodes. The sooner you both deal with and manage the migraines – as you may have had to yourself – the better your lives will be all around. You might like to read our articles: Childhood Migraines and Migraine in Children: Managing Their Emotional Side Effects. What Home Remedies Work For Your Child? Please share what home remedies for migraines work well for your child in True-Life Migraine Relief Remedies. Sharing will help all our readers. So thank you in advance. 1. Prof James Lance, MD. (1993) Migraines and Other Headaches. Compass Publishing Co. Pty. Limited, Australia. page 46. 2. Stafford, D. and Shoquist, J. MD. (2003) Migraines for Dummies. Wiley Publishing, Inc: New York. pages 241-260.